This place has it all! It's like country living but in town. 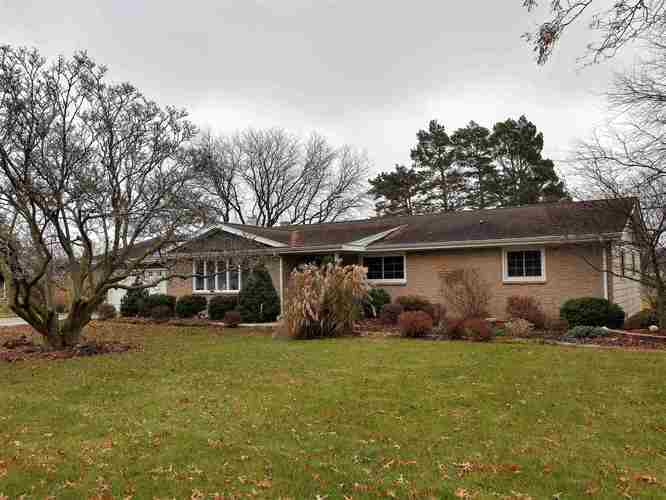 Brick, one level home is nearly 2,000 square feet and sits on 2.37 acres of land with several mature trees. Enjoy the convenience of an attached 2 car garage with an additional garage on the property. You will be right at home in the brand-new and gorgeous Mr. Planner's kitchen. Home is totally move-in-ready with its 2 fully updated bathrooms, inviting family room with wood burning stove, lovely newer flooring through-out most of the home and all newer replacement windows. Summer days can be spent relaxing on the delightful covered back patio and summer nights out by the cozy fire pit area. Directions:HWY 27 to Main Street (HWY 218) turn West to property. Property on the South side of the street.